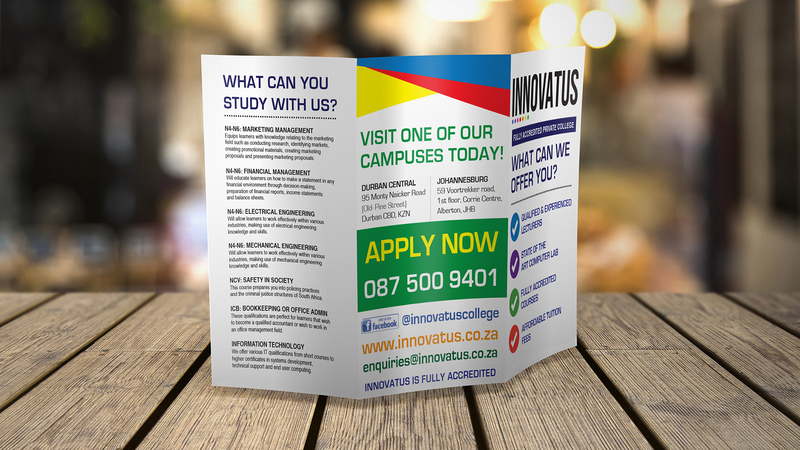 Innovatus is a private FET college that was established in 2009 and has a national foot print with 9 campuses throughout the country. We’ve had the pleasure of being selected as the marketing agency to pilot the rebrand of their identity and plan and execute their online and offline marketing activities and create their online lead collection and lead management systems. The objective of the overhaul of the look and feel of the brand was to make the brand more relevant to the youth but still maintain a professional and corporate feel to instil a feeling of trust and longevity. 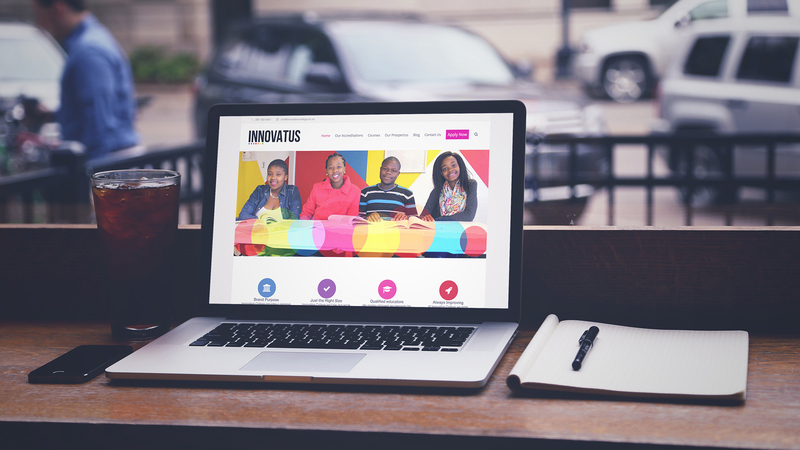 We’ve also introduced the capabilities of online and social media marketing to Innovatus, where previously online marketing was non-existent to the brand. This allowed the brand to become better known to the public and at peak seasons gaining 150-200 student enquiries per day. 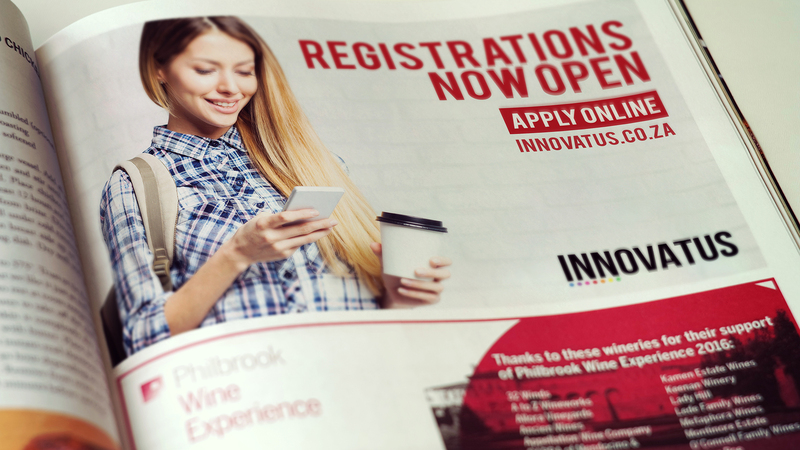 Have a look through some of the work we’ve completed for Innovatus below.